At Christian-owned and operated fine jewelry company, Apples of Gold Jewelry, we love to showcase our Christian cross rings as often as possible to bring glory to God our Savior, through Jesus Christ. We constantly look for new Christian jewelry designs that our customers can wear to share their faith and to remember to keep Christ at the center of their lives! Of course, Christian jewelry, is just a symbolic reminder; it is the Word of God that we lean on and rely on and get our understanding from about God, but if you love jewelry, then Apples of Gold is the place to shop! So here are some of our latest additions. Above Left is our “Ancient of Days” Pierced Cross Ring for Women, shown in 14k white gold, but also available as a 14K Gold Ancient of Days Cross Ring as well as rose gold or platinum by request. The ANCIENT OF DAYS is, of course, Jesus Christ himself: “I saw in the night visions, and, behold, one like the Son of man came with the clouds of heaven, and came to the Ancient of days, and they brought him near before him … Until the Ancient of days came, and judgment was given to the saints of the most High; and the time came that the saints possessed the kingdom” (Daniel 7:13, 22). 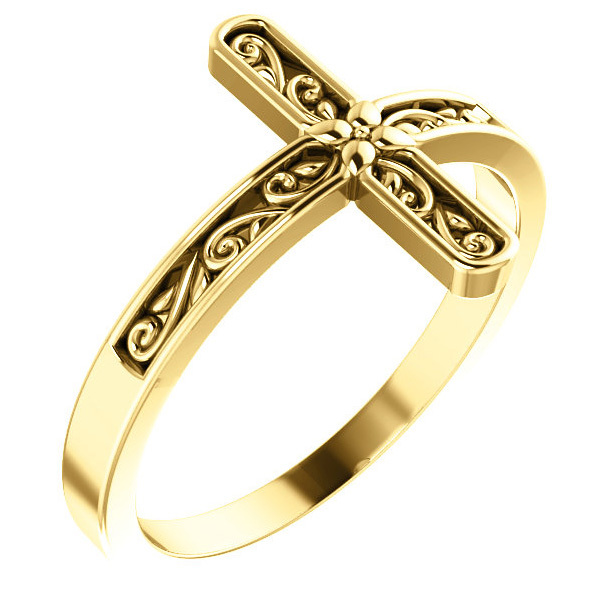 The “Ancient of Days” Pierced Cross Ring is a very unique and stylish wide band, from Apples of Gold, measuring 9mm wide and 1.95mm thick. 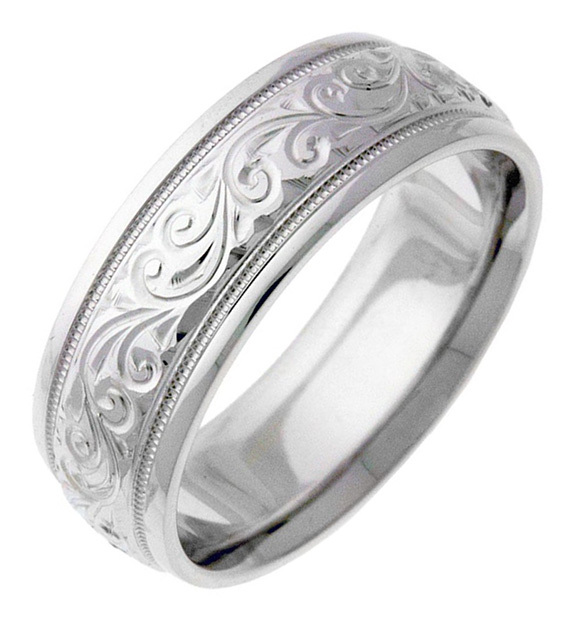 It is suitable as both a stand-alone fine Christian fashion ring or as a wedding ring for women. Apples of Gold also offers many unique Christian Wedding Bands, so be sure to check them out if you are getting married or replacing a wedding band ring! 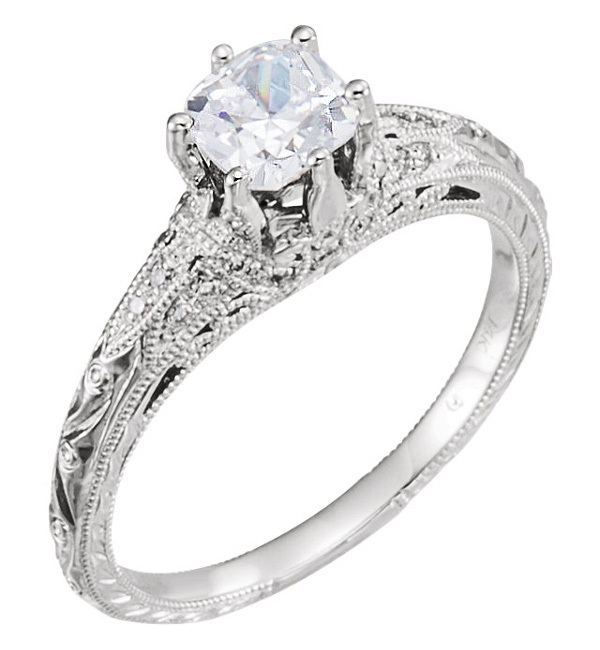 Another new item from our Women’s Christian Rings collection is the Diamond Crown of Glory Ring in 14K White Gold. 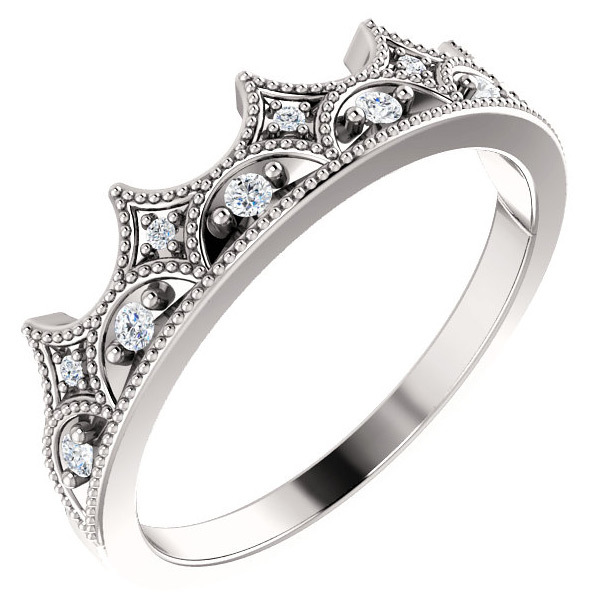 You can make a serious fashion statement with this beautiful and feminine diamond crown ring, from Apples of Gold, while holding onto all the deep and meaningful spiritual symbolism of such a ring. “And when the chief Shepherd shall appear, ye shall receive a crown of glory that fadeth not away” (1 Peter 5:4). Isn’t that one of the best Bible verses of all time? When Jesus Christ, the chief Shepherd shall appear, those who have put their faith and trust in Him alone for their salvation, will receive a “crown of glory” that will never fade away. Jesus also admonishes us in other passages to seek not after worldly riches, but after “treasures in heaven” where moth and rust do not corrupt (Matthew 6:19-21). We should always be about doing the Lord’s work, preaching the Gospel, and saving souls. Christian jewelry, such as this, from Apples of Gold, can be a great conversation starter that leads to preaching the Gospel — especially with such a beautiful ring that will surely be noticed for all its beauty! 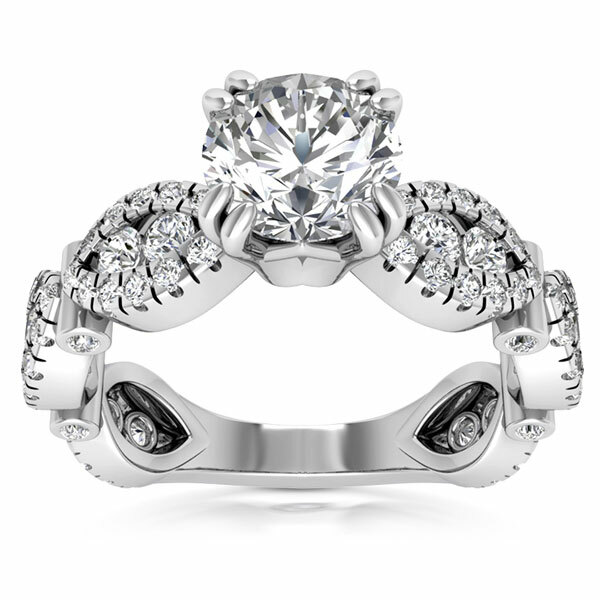 The diamond crown ring is also available in yellow gold and sterling silver (or request rose gold or platinum) and is set with 1/8 carat of diamonds in a high quality, G-H Color. While we have added many new Christian Cross Rings (so be sure to browse our category to the left for more), we wanted to finally showcase one of our newest additions, the “14K Gold Paisley Cross Ring”, shown left. Combing two very popular styles, the paisley pattern with a small flower in the center and the popular cross design to create a very fashionable and stylish gold cross ring for women that is both unique and affordable. 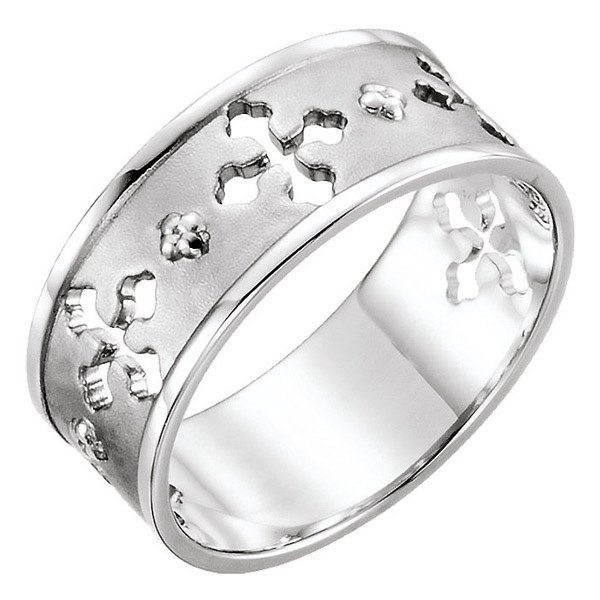 The women’s paisley cross ring is available in white gold or sterling silver. 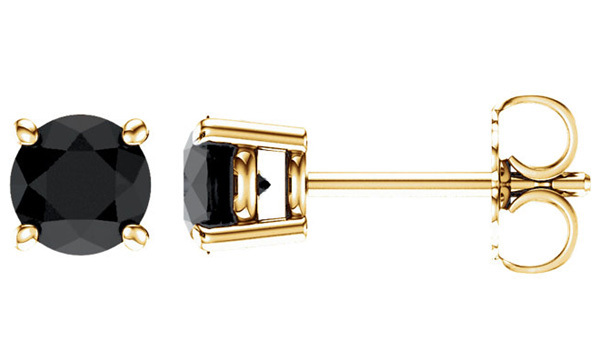 Just click on the product to the left and scroll to the bottom of the page where the ring is shown in various colors and options. Apples of Gold Jewelry has many more unique Christian cross rings for women; these are only a few highlights. With over 10,000 jewelry items online overall, Apples of Gold is among the top online jewelry retailers (but still a family-owned operation) and we are among the main brand jewelers who are also Christian owned and promote God, the Bible, and the Lord Jesus throughout our company! That’s why many of our customers return to us and even shop with us in the first place, along with the uncompromising high quality jewelry, customer service, and affordable prices!